The ultimate protection designed for advanced students using full power. 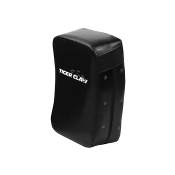 Provides maximum protection and absorbs full contact. Dimensions are 26" Tall x 14" Wide x 8" Thick. Sold Individually.